Need to clean cracks in concrete before sealing with an epoxy? 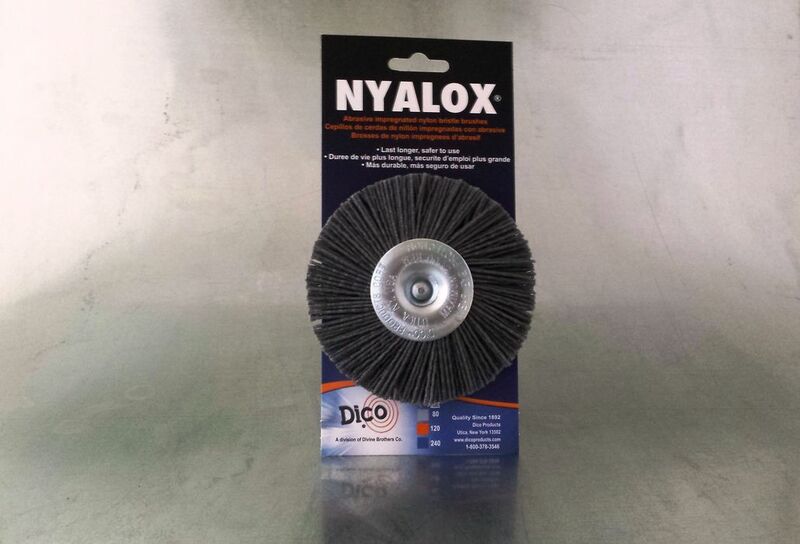 Nyalox does the job better than wire brushes and is far safer to use! Gray coarse brushes in 4"diameter, end brushes, or 5/8-11 threaded for angle grinders are growing rapidly in popularity for this unique application. Stocked by Ace & Do It Best warehouses nationwide as well as hundreds of industrial suppliers and home centers. Ask for it by name: Nyalox!